Wicher 500i accelerator for the A500, now has a hardware MP3 decoder add-on module available, also firmware upgrades. http://aminet.net/package/comm/tcp/AmigaCloudHandlers (Iarla: I see OCR support there!). Vintage is the New Old has compiled a list of 2017 game releases for Amiga, C64 and other systems http://www.vintageisthenewold.com/happy-new-year-from-vintage-is-the-new-old/ Well done Kitty, that’s a fantastic list. A Kickstarter for new A500 cases is being prepared https://amigalove.com/viewtopic.php?f=5&t=370 Posted by LambdaCalculus on AmigaLove.com. We are a volunteer run project that exists to help local game developers both inside and outside of the industry to network, communicate and publicise their work. They promote training, events, diversity and more. http://gamedevelopers.ie/about-us/ Thanks to Vicky Lee and Alanna Kelly for putting us on to that. Modern Vintage Gamer created the Outrun port that was on display at Amiga Ireland 2018. 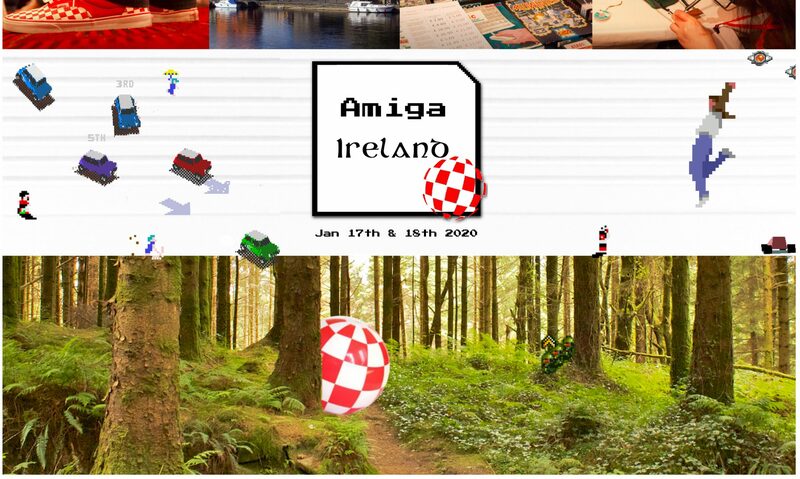 Amiga Ireland has wrapped up. Go to amigausers.ie/media for some videos and pictures. SensibleBlogger and MsMadLemon have videos too. Next years plans have begun already AROS. This time all effort has been focused on good fun, entertainment, game tournaments, night karaoke, hardware presentation etc.